32-inch x 46-inch Fakro FX Fixed Skylight - ENERGY STAR® Fakro fixed skylights are a great way to brighten up almost any room in your home. This ENERGY STAR deck mounted skylight features bracket-free, one-person installation that is suitable for roof pitches between 15 to 85 degrees. A perimeter seal lines the solid wooden frame providing a "warmer" roof boarding-skylight frame joint. Once in the rough opening 4 to 6 screws (included) secure the skylight to the roof deck followed by your trusted brand of water and ice shield (required and sold separately) and finished with Fakro step or high profile flashing (required and sold separately). 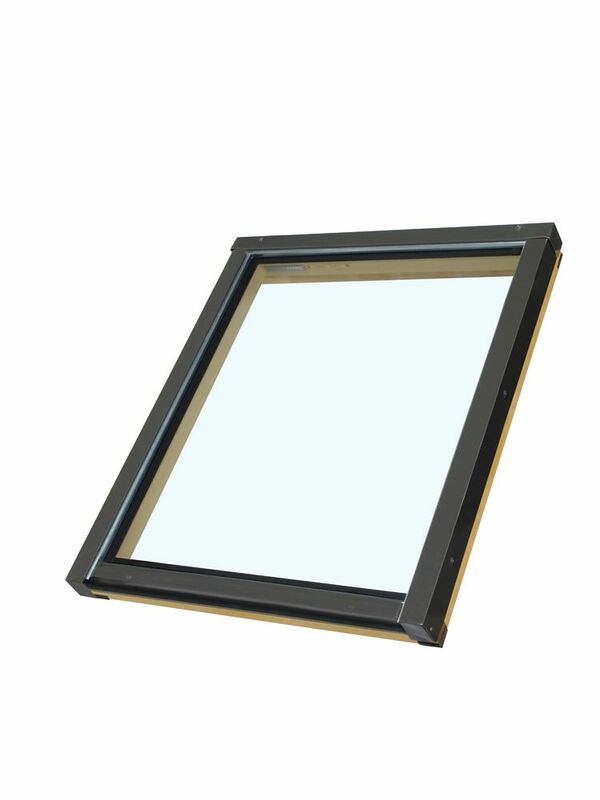 The single chamber glass panes are filled with argon gas and feature a Low-E coating to help filter UV rays. The finished pinewood interior is pressure-treated and double coated with a clear acrylic lacquer. A template and installation hardware are included. Blinds and other Fakro accessories are available. 32-inch x 46-inch Fakro FX Fixed Skylight - ENERGY STAR® is rated 4.5 out of 5 by 2. Rated 5 out of 5 by Lance from The skylights were installed and they look great. They appear... The skylights were installed and they look great. They appear to be good quality and fill up the space nicely. They are apparently highly sought after since 2 of them were stolen from my garage shortly after delivery, therefore, I had to buy more. Rated 4 out of 5 by Chicago20 from Good quality, easy to install and looks great, my client are very happy. Good quality, easy to install and looks great, my client are very happy.